Happy Halloween everyone! I hope you all are having a spooktacular candy-filled Halloween. I'm actually going to be spending Halloweekend in upstate New York to fulfill my dream of eating at the Culinary Institute of America! My boyfriend and I are going for one night just for a little getaway. I'm sure I'll have a few delicious photos to share when I come back. Speaking of food, let's jump right in and start with my first October favorite! I have never been to a Dairy Queen before and earlier in the month my brother decided that we were going to take a little road trip to get our DQ on. 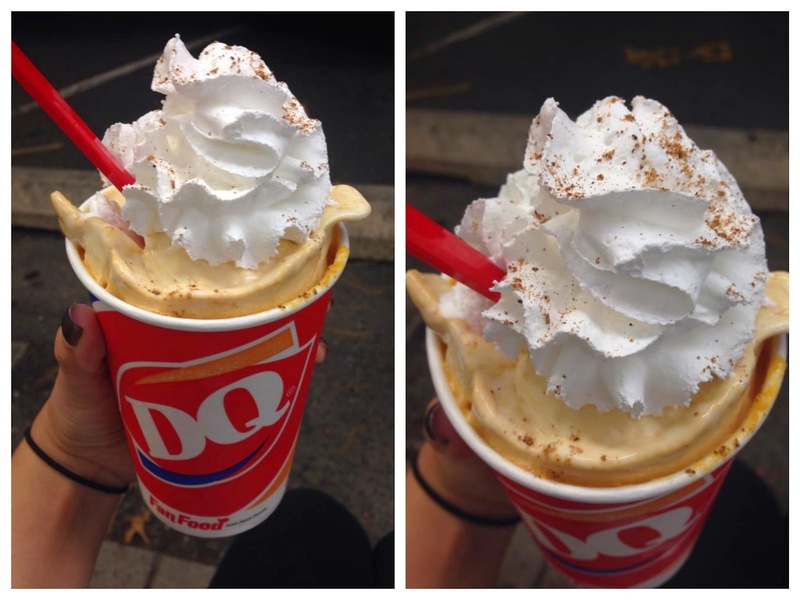 I obviously had to get the Pumpkin Pie Blizzard...and it was so good. 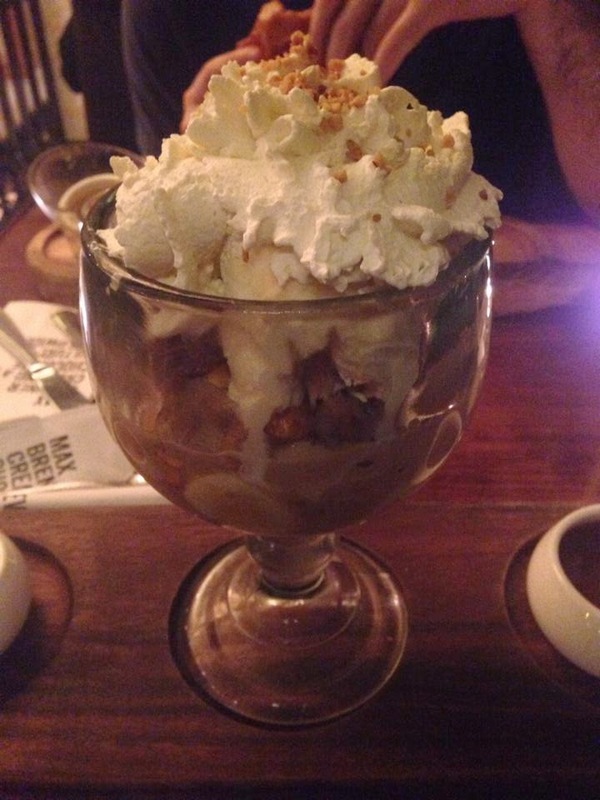 See that stuff dusted over the whipped cream? It smelled like nutmeg! I hope it was real, but either way the whole thing was amazing. 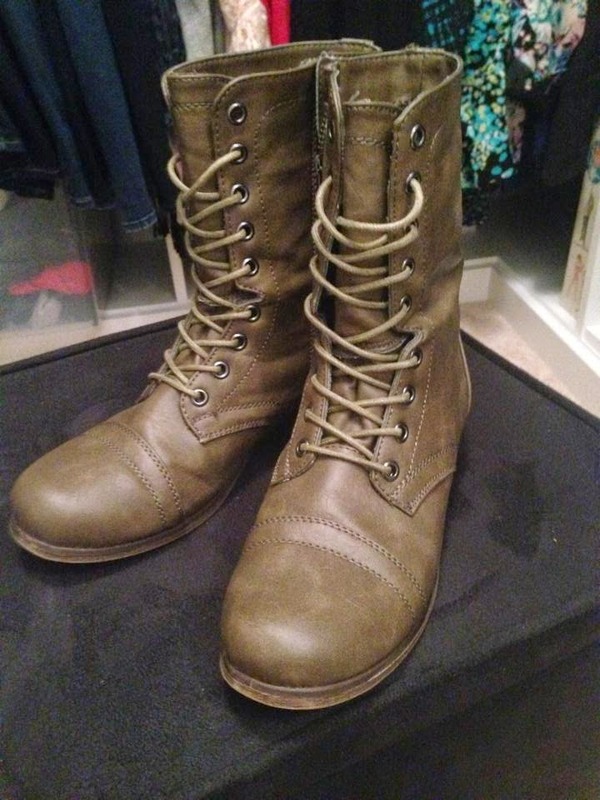 My next favorite is a pair of combat boots from DSW, which is my favorite place to get shoes. I have been on the hunt for combat boots and this pair from Madden Girl is so cute! I purchased them in the color taupe, but when I got them they looked more like a khaki green. I actually love the color plus it matches my coat. I wore these for a couple hours in New York and they broke in pretty easily and now they are super comfortable. I tucked the laces in (because I'm lazy). 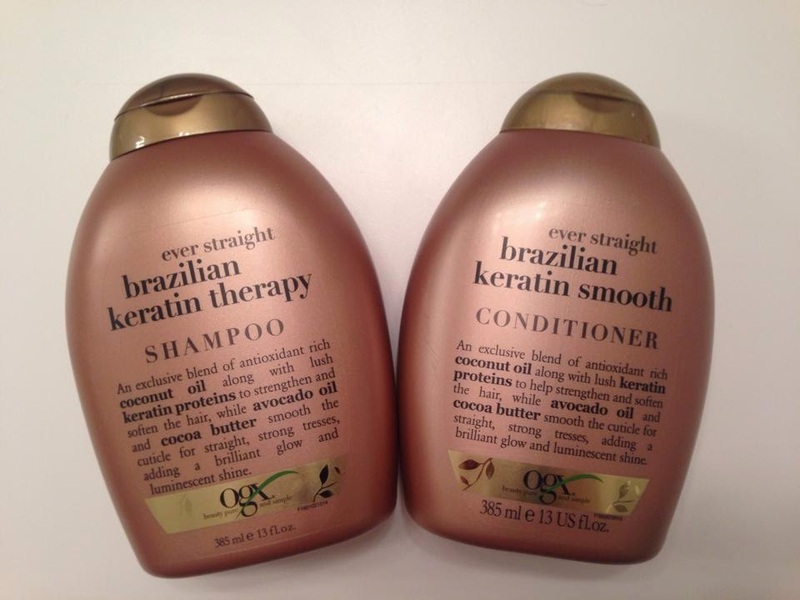 Next up is a product I recently reviewed, which you can check out here. 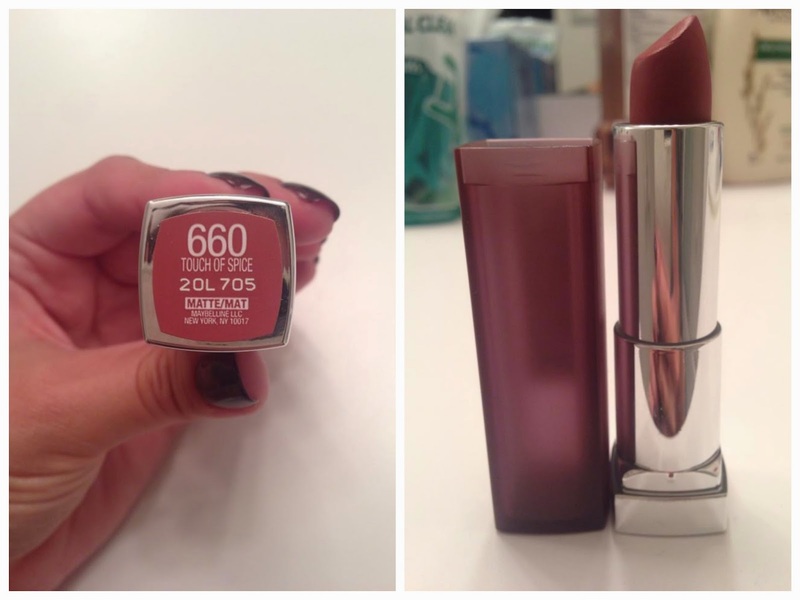 It is the Maybelline creamy matte lipstick in the shade Touch of Spice. 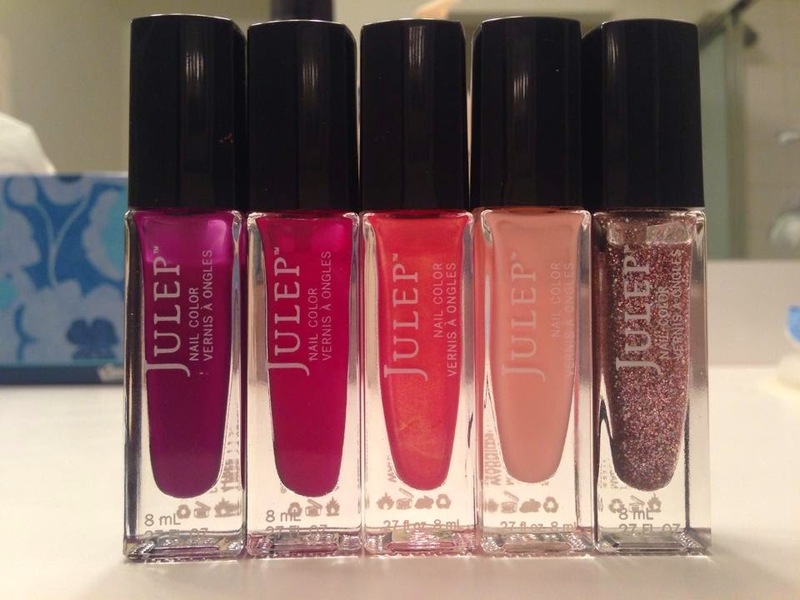 I have been loving this as an every day lip color. 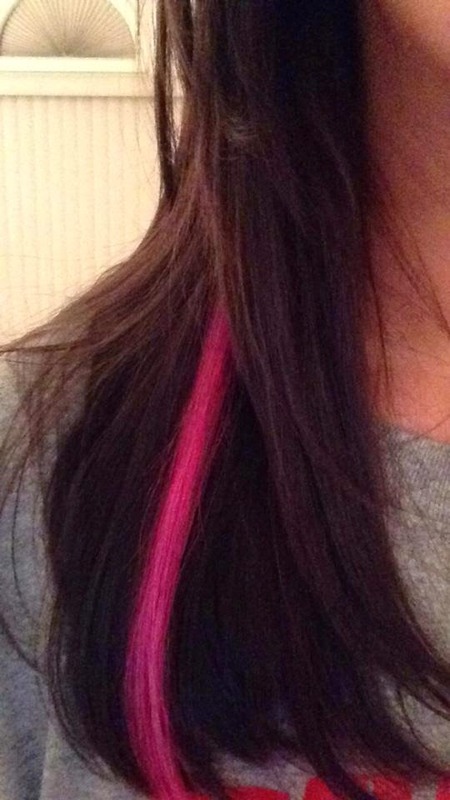 My next favorite is my pink hair extension from Ulta that I got during their cut-a-thon for breast cancer. I donated $10 and a nice woman from the salon put the extension in. 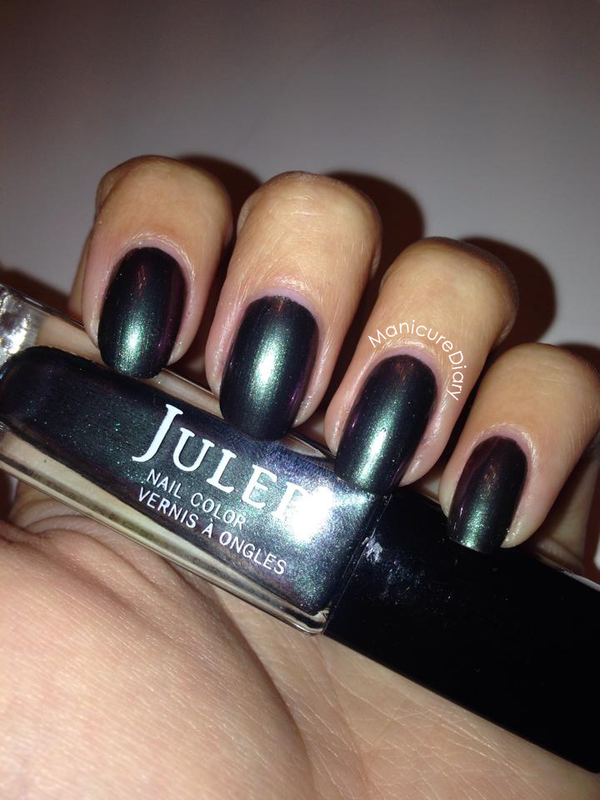 My last favorite is my favorite manicure that I created this month. I enjoyed creating all of those breast cancer awareness manicures, but I would have to say my absolute favorite mani this month was the one I did for Halloween! I just think it came out so stinkin' cute. Happy Halloween week everyone! 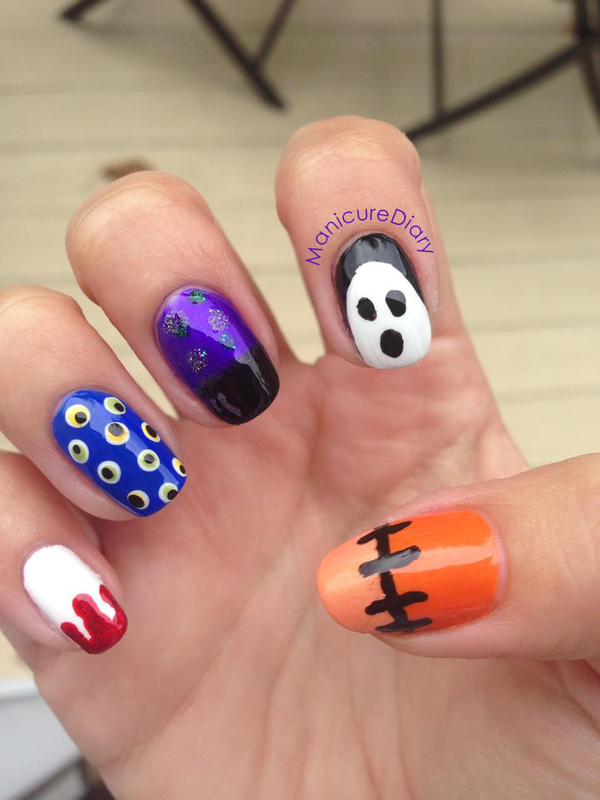 I have seen some really awesome Halloween manicures throughout the month of October, but I like to just do one at the end of the month and go all out. A lot of planning and prep went into this mani you guys. Check out this sketch I did! These are the colors I was thinking of using. Here is the final design, which took me over two hours to complete. 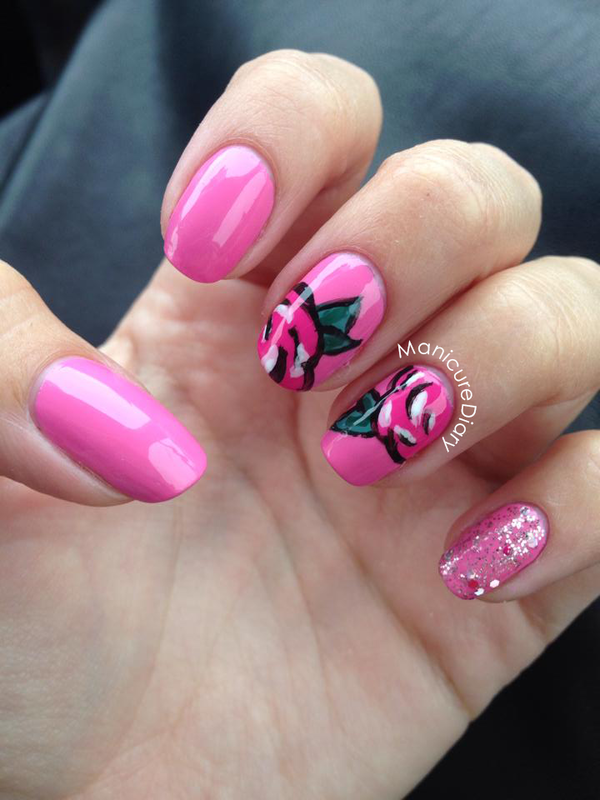 I am absolutely obsessed with this mani! 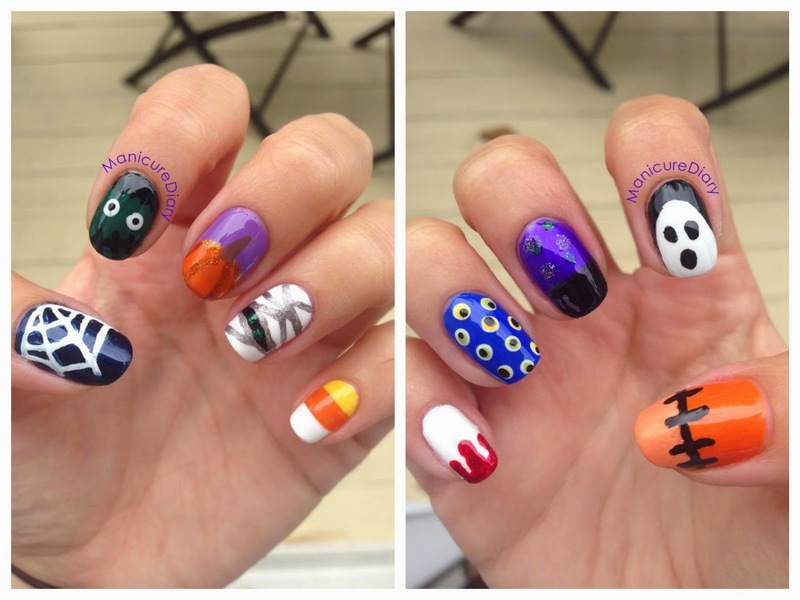 I can't decide which nail is my favorite, which one is yours? Left hand. How cute is the mummy?! Right hand. I love the cauldron and the eyeballs. I took a picture of all the polishes I used. There are so many that I think I'll skip naming them all this time, but if you have any questions about polish names don't hesitate to ask! Hope everyone has a spooky and fun Halloween! Hey everyone! 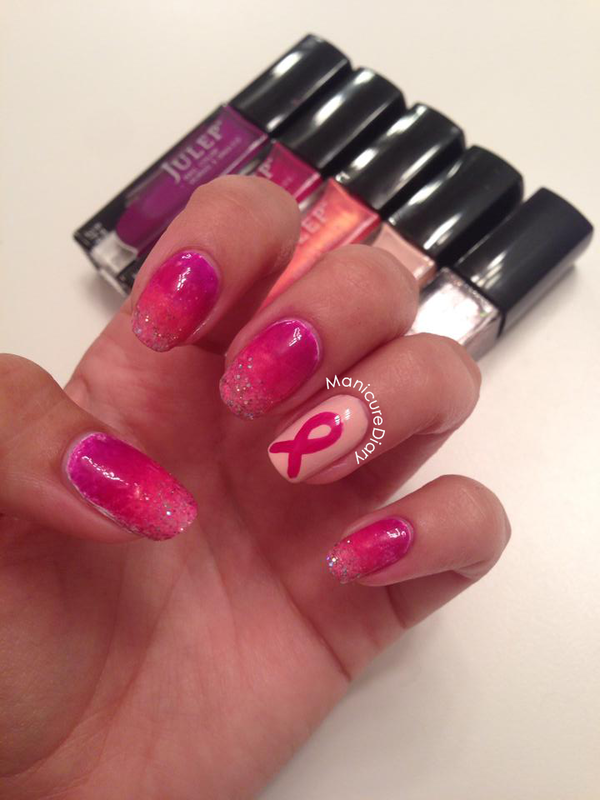 It's breast cancer awareness Wednesday here on I'm So Polished and I have a really beautiful manicure to share with you today. I am super proud of this one you guys. I put a lot of effort into it and I love the way it turned out. 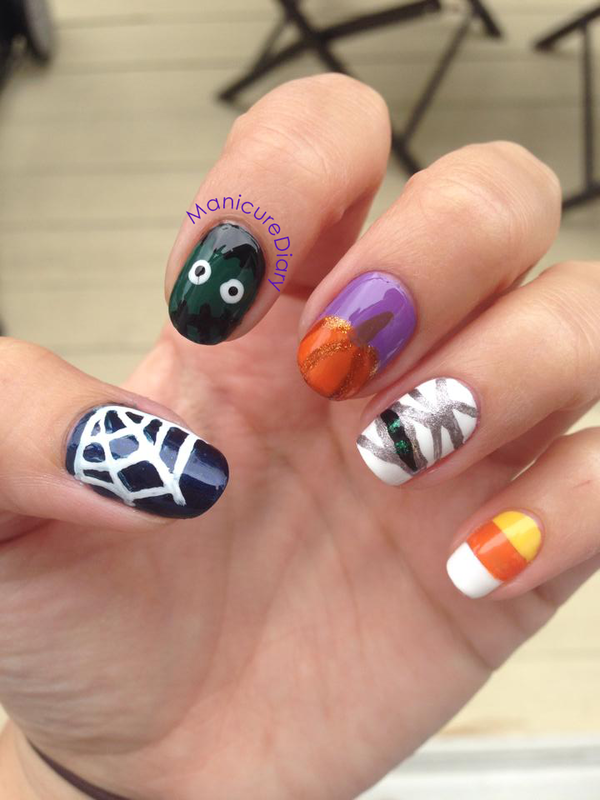 You can easily recreate this with a small detail brush and a little bit of patience! And here it is in natural lighting. I used Cult Cosmetics Belmont Shore as my base color. It looks a lot softer here than it does in the previous pictures. My bathroom lighting makes them look almost neon pink, but the color really is not that bright. Whew! Lots of colors for this one. Happy Manicure Monday! I hope you all had wonderful weekends. I stopped in at Ulta (yes, again) on Sunday for their annual cut-a-thon for breast cancer. I walked in at around 4:15 and there were only a few people there. The woman who put in my extensions told me they were packed earlier but I came when there was a bit of a lull, which was perfect for me! 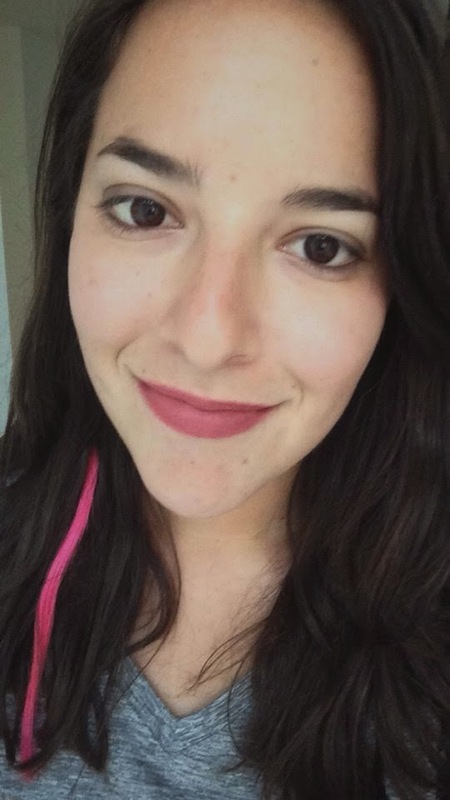 I donated $10 for the pink hair extensions and I'm so happy with how they look. On my way out I also picked up shampoo and conditioner from OGX. They were having a buy one get one 50% off promotion plus I had a coupon for $3.50 off $10 so I got a good deal on those. I wanted to get something a little bigger than travel sized bottles but small enough that I could easily pack them in my luggage for a couple of trips I have coming up. These were a great compromise. Love the way these smell! Can't wait to try them. Onto the nails! 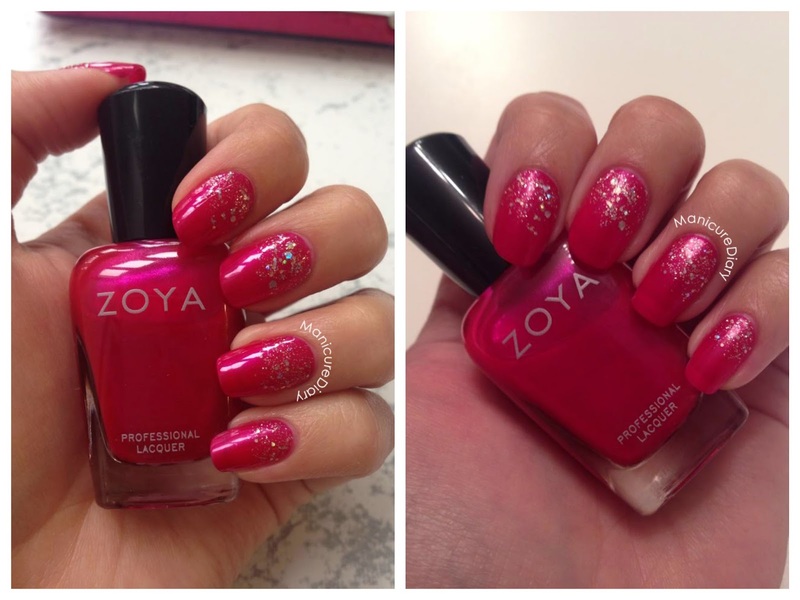 I decided to use Loredana, which is from Zoya's Matte Velvet collection. As described on Zoya's website, Loredana is a "medium gunmetal grey, packed with silvery shimmer and a velvety matte velvet finish. This shade gives the nails the appearance of brushed steel." 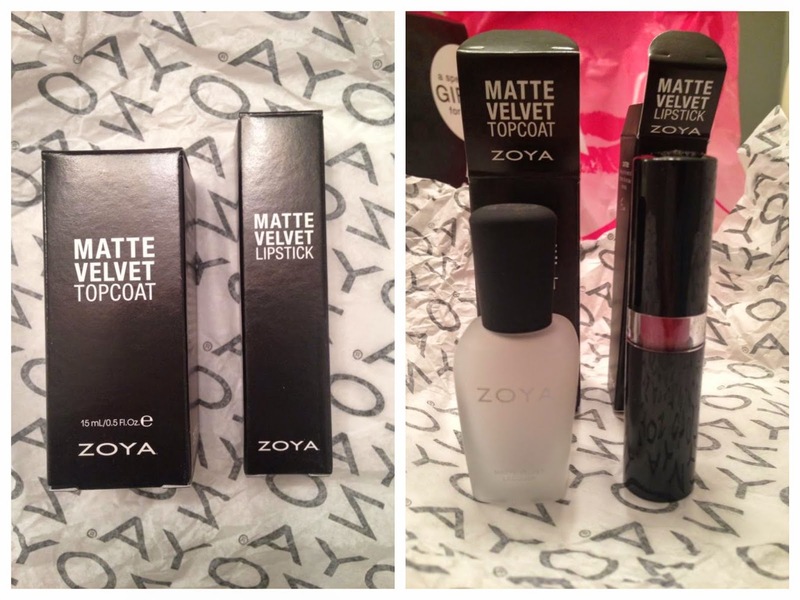 Now according to Zoya, the matte velvet colors are not intended to be worn with a base coat or a top coat. They say it works best when applied on a completely clean, dry surface. I just could not wrap my head around not using a base coat, so I applied one anyway and the polish still went on perfectly. 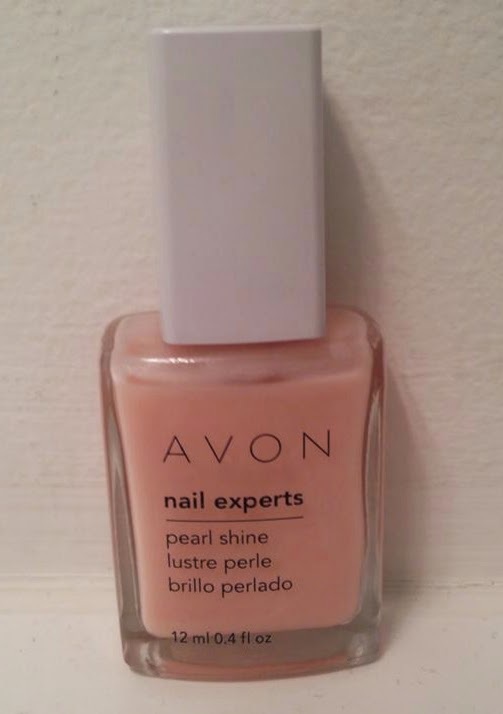 These matte velvet polishes dry super duper fast. Like do your nails and get out the door in 10 minutes fast. I think I may try putting a top coat on these tomorrow and see how it looks. 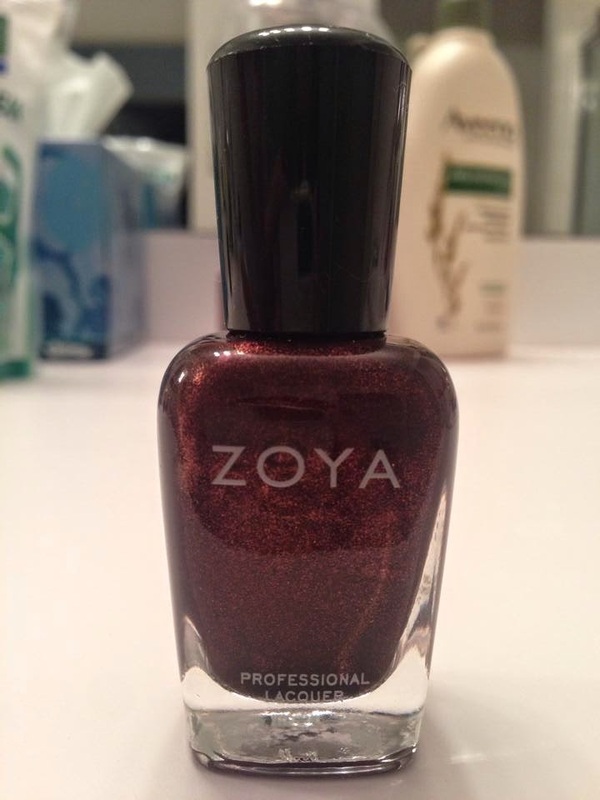 Here is Zoya Loredana with a top coat. Not that drastic of a change, but I like it better without a top coat. Happy hump day! It feels like this week has been dragging on forever and I'm so ready for the weekend. 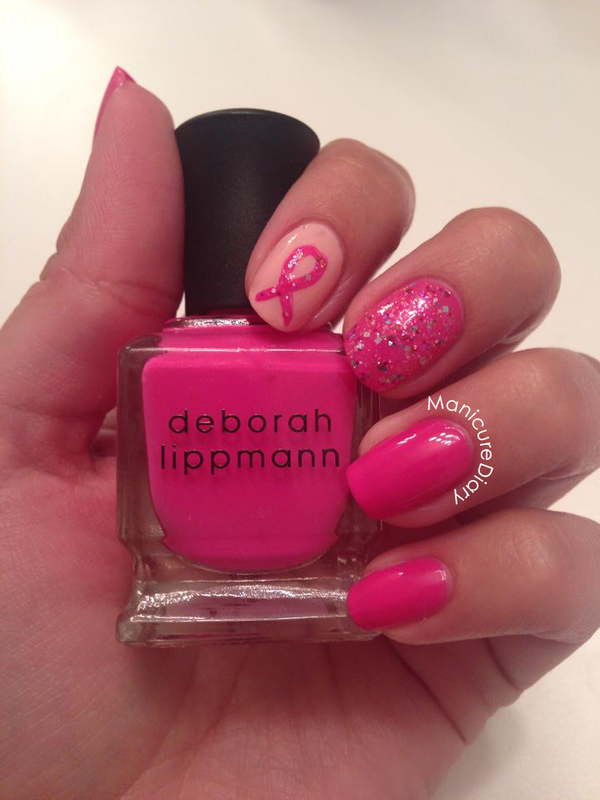 I have my second breast cancer awareness manicure to share with you today. You can see last Wednesday's mani by click here. I wanted to do something simple with a little bit of sparkle, so I pulled out one of my all time favorite pinks: Deborah Lippmann Whip It. This polish is from the 80s Rewind collection and it's almost a neon pink, that's how bright it is. I used Zoya Dot on my index finger and Rainbow Honey Stellar Treat for the glitter. I love how it turned out! Hey everyone! Oops...I may have gone to Ulta and bought even more things. You can check out the first haul, which I ordered online, here. I could not pass up this next deal you guys. It will be happening from October 5th (today) through October 25th only at Ulta stores. 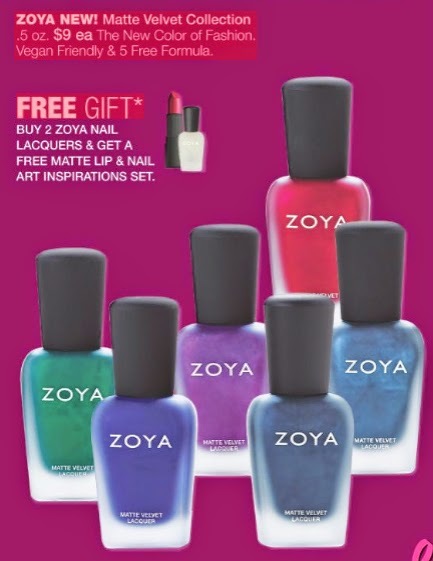 The promotion is a free matte lip and nail set with your purchase of two Zoya nail polishes. I would give your local Ulta a call before you go just to make sure they still have the free gift in stock. My Ulta did not have the Matte Velvet Collection in stock yet. Now let's get into the goodies! 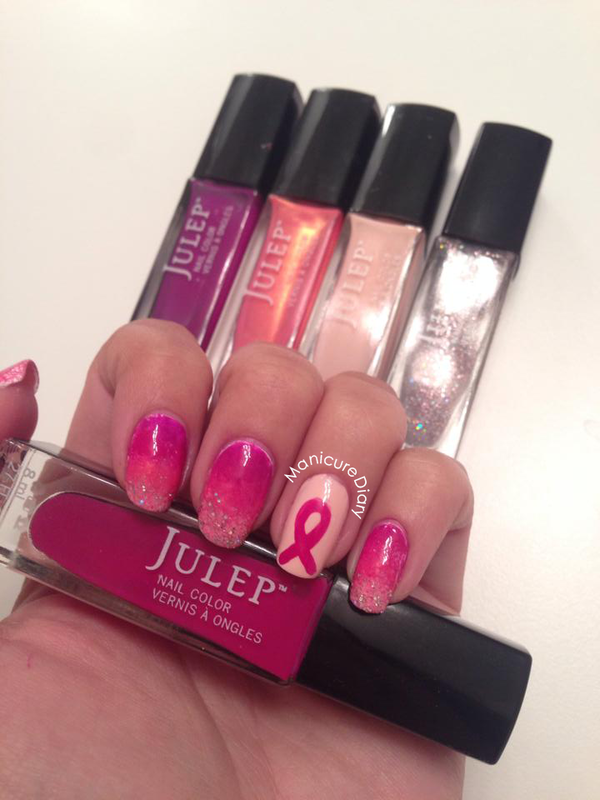 For the month of October, Ulta is donating to the Breast Cancer Research Foundation. They are calling it "Donate with a Kiss." As you can see they are using cute pink bags with the breast cancer ribbon on it. 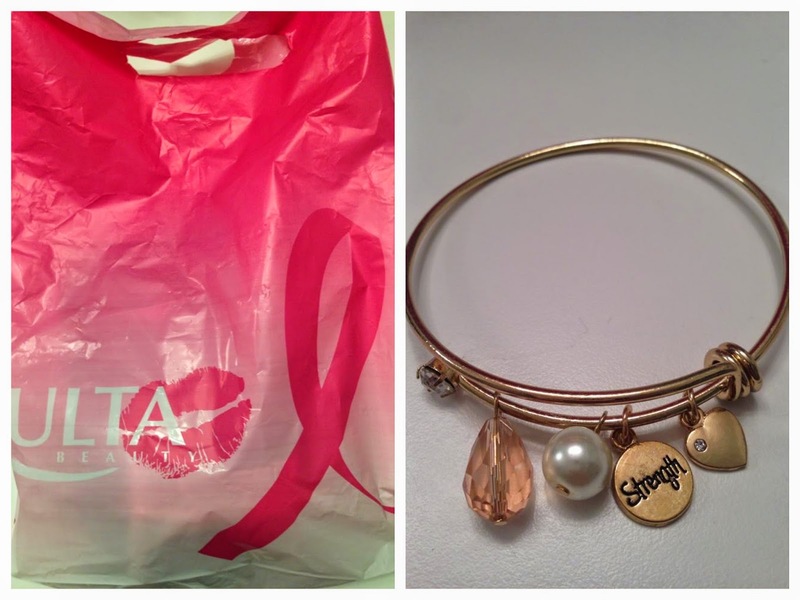 I chose to donate $5 and my gift with the donation was this pretty charm bracelet. 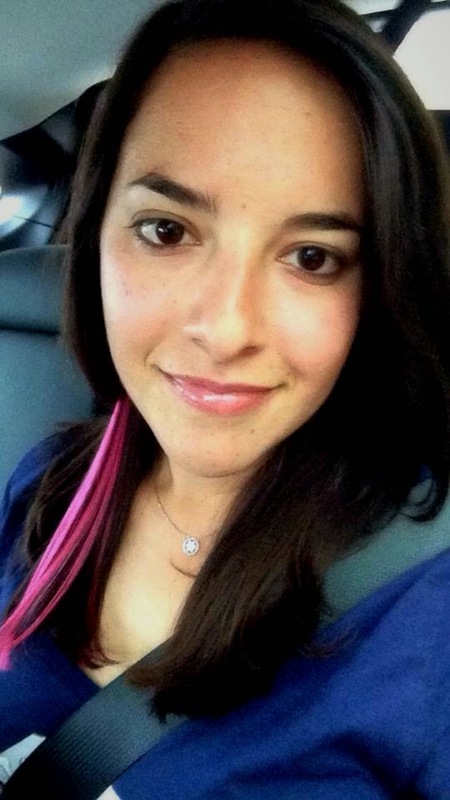 Learn more about Donate with a Kiss here. Here is everything that was in my shopping bag. 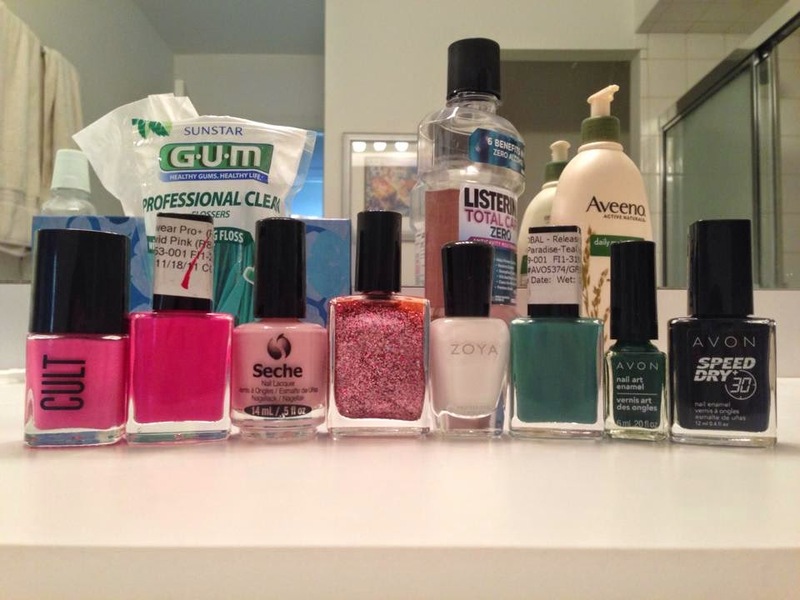 The polishes I picked up are Tinsley and India. Tinsley is "a full-coverage, rose gold foil metallic." I've been eyeing this color for a while and I thought it would be pretty for some upcoming vacations. India is "a deep, luxurious red with a gold liquid metallic shimmer." I knew this one would be gorgeous for fall. I ended up stopping by a different Ulta store a couple days later and found the Matte Velvet Collection so I exchanged India for Loredana. 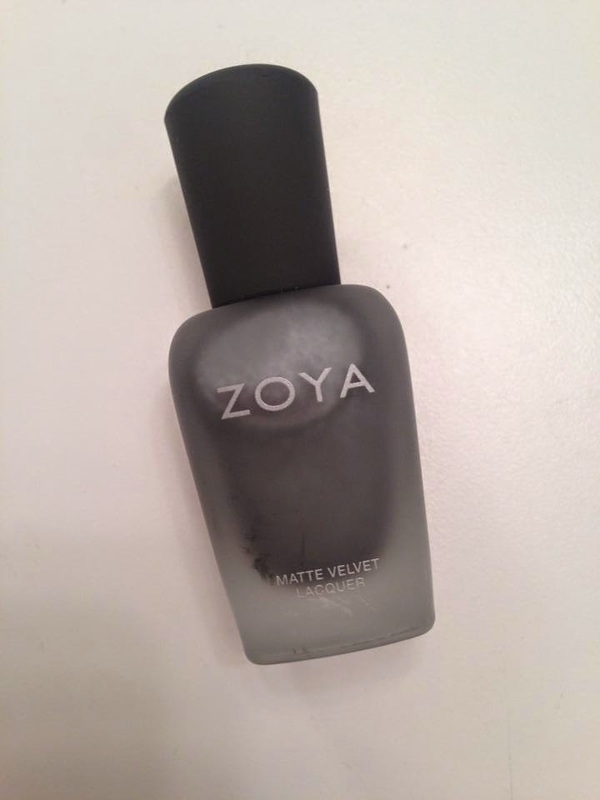 Zoya's website describes Loredana as "a medium gunmetal grey, packed with silvery shimmer and a velvety matte velvet finish. 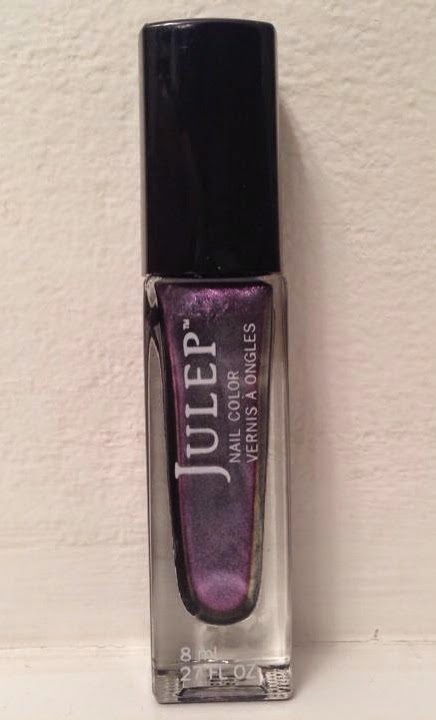 This shade gives the nails the appearance of brushed steel." I can't wait to try it out! 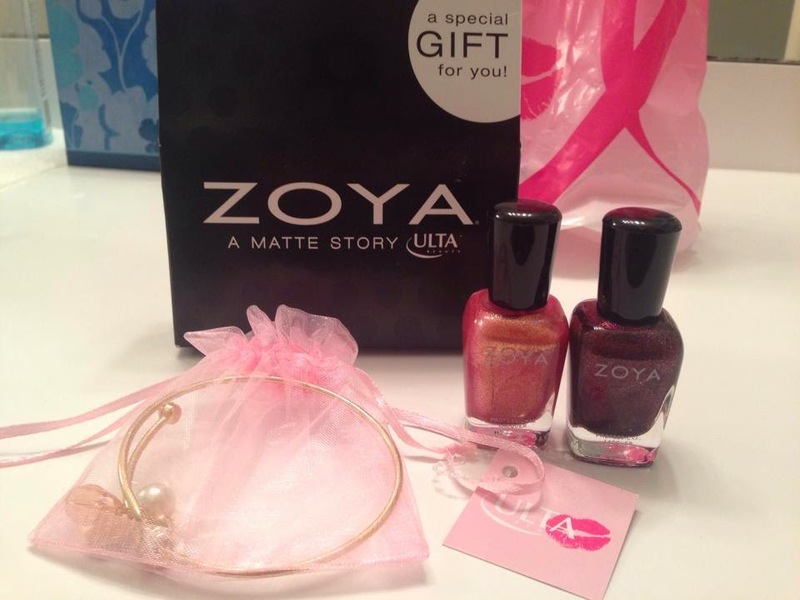 Lastly I have the free gift that came with my Zoya purchase. I was so thrilled when I opened the packaging to see FULL SIZED products! I already have a tiny bottle of the matte topcoat and I love it so I'm super happy to have the regular size too. I was extremely excited for this lipstick and, as always, Zoya did not disappoint. This is a rich, creamy red that went on smoothly with no tugging. I love how the finish really does look velvety. I rarely wear a red lip, but I may have to start doing it more often now that I have this lipstick. 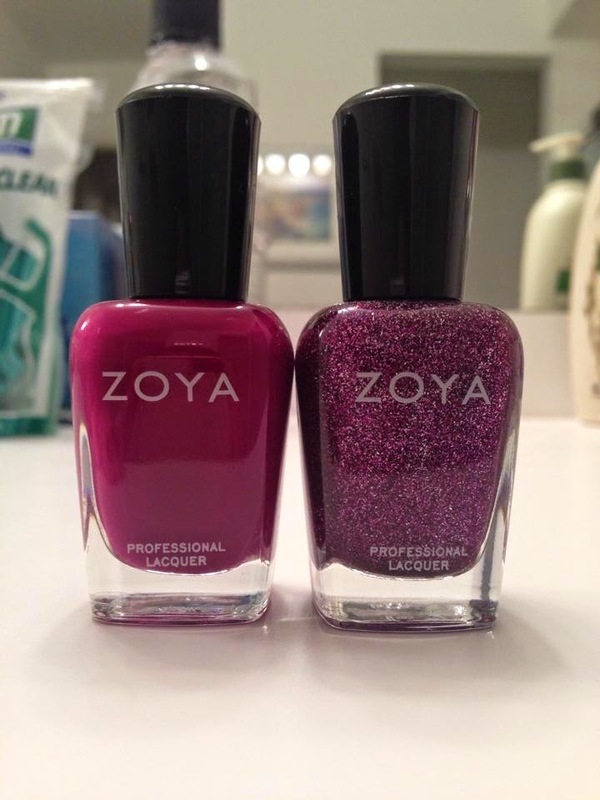 I'm surprised that the packaging of the lipstick itself has no branding on it at all, not even the name Zoya. 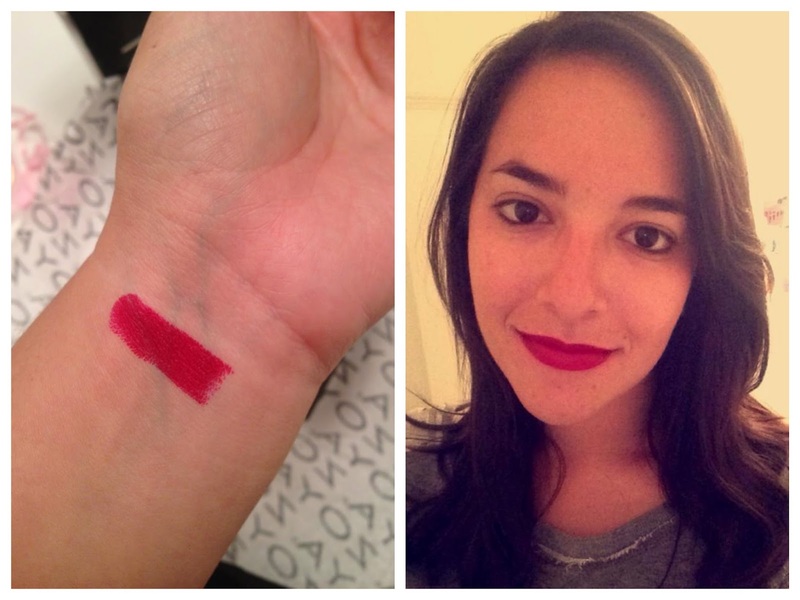 I did a little swatchy swatch on my wrist and I even took a selfie with the lipstick on. I highly recommend that you get yourself over to Ulta ASAP before they run out of this awesome free gift! Hey everyone! 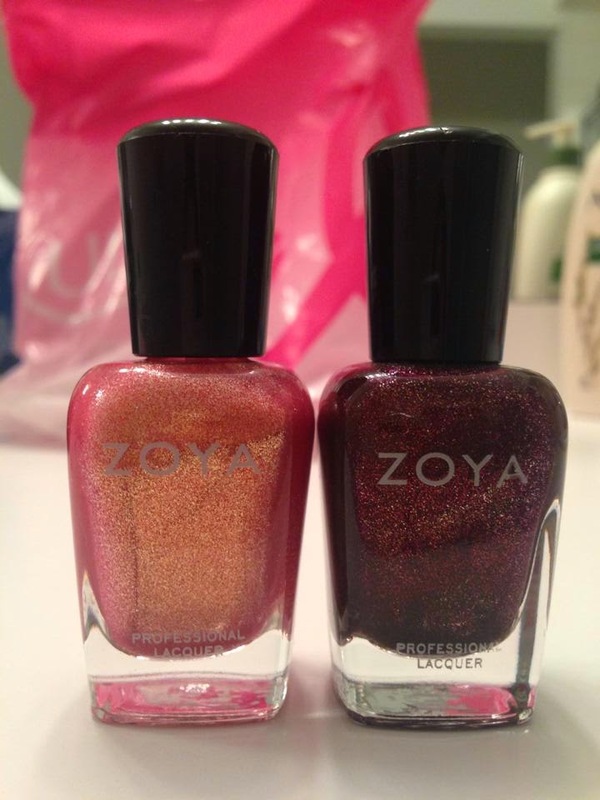 I'm beyond excited to show you my haul from Zoya. I placed this order back on September 18th and the reason it took so long to ship is because I ordered it during their "Where in NY is Zoya?!" promotion. 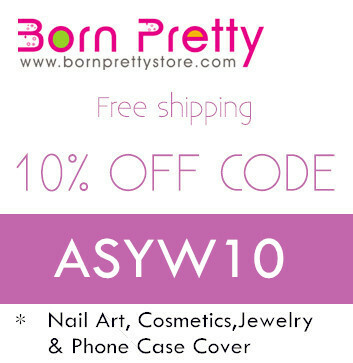 This deal got you three free polishes of your choice, a free 8oz bottle of their nail polish remover, and free shipping with your purchase of $25 or more. This was a fantastic deal for me especially because I absolutely love their remover, which you can check out my review of here. This is what came in my box. 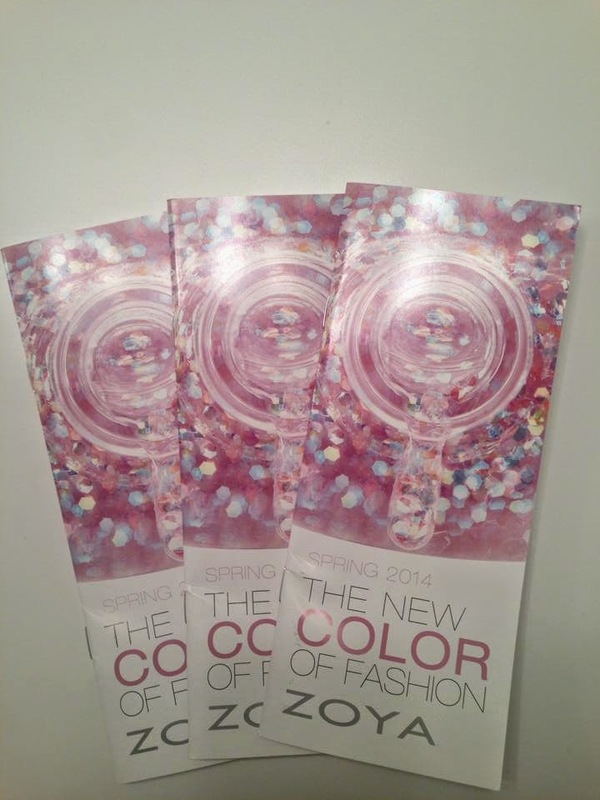 The first thing I pulled out were these pamphlets that advertise the spring 2014 collection. Hmm...I'm thinking they were just trying to get rid of them? Not sure why they would send me three. The next two items were these cute swatch cards. 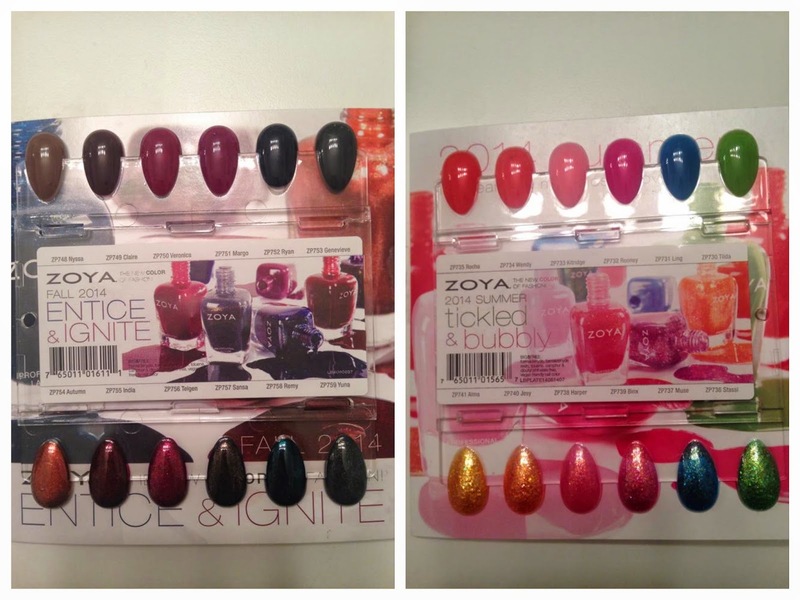 On the left are the colors from the fall 2014 Entice & Ignite collection. 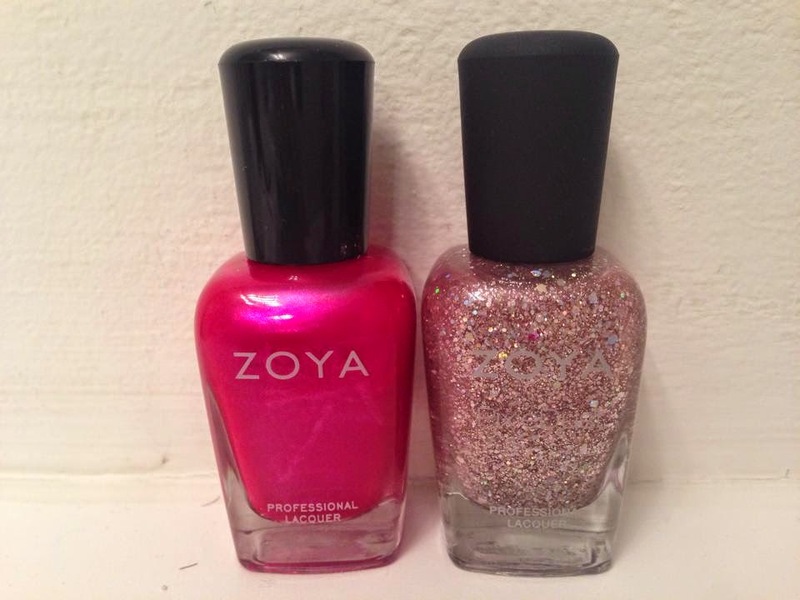 On the right are the colors from the summer 2014 Tickled & Bubbly collection. 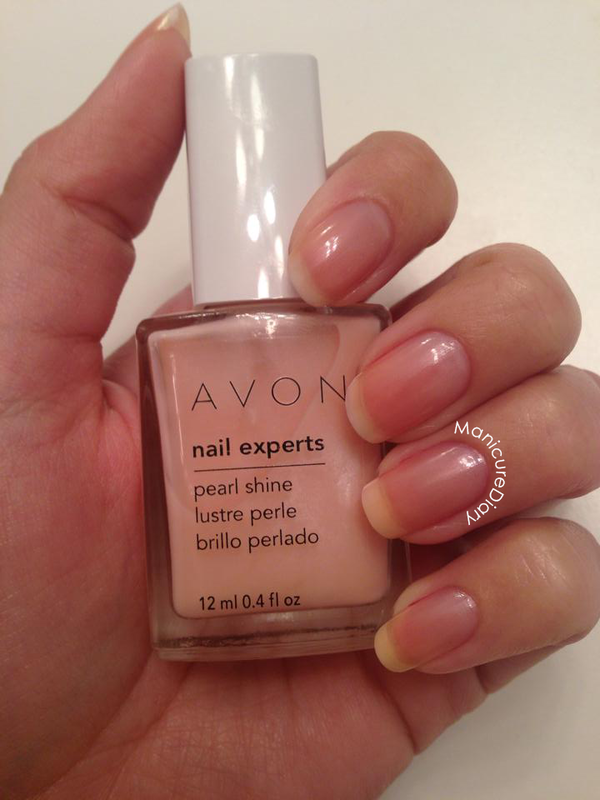 These are great because you can hold each swatch on top of your nail and see how the color looks with your skin tone. I have to say that the Ignite collection is seriously gorgeous. 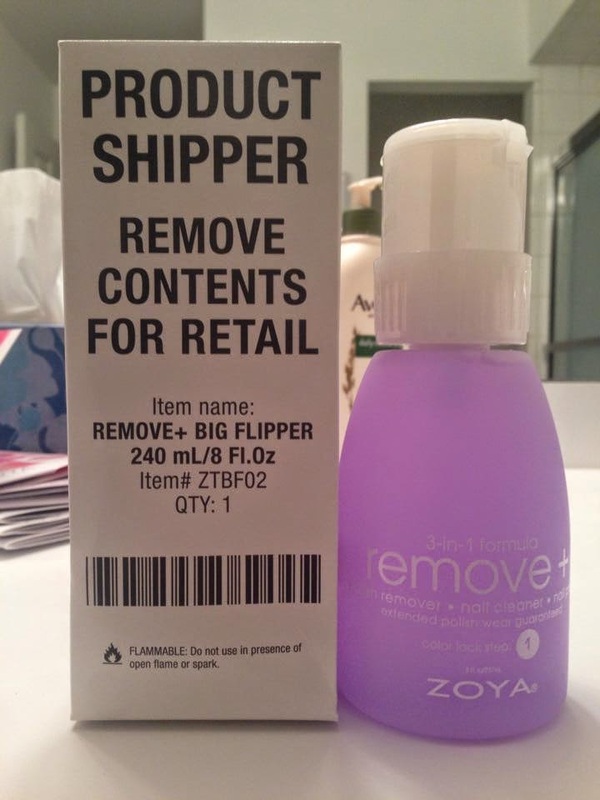 Up next is my favorite nail polish remover, Zoya Remove+ in the 8oz big flipper bottle. Check out my review here. This stuff is just fantastic. And last but definitely not least are the gorgeous polishes. I honestly spent way too much time trying to decide which colors to order. There are so many to choose from! It's kind of like when I stand in front of nail polish displays at the store for an abnormal amount of time looking up swatches on my phone. 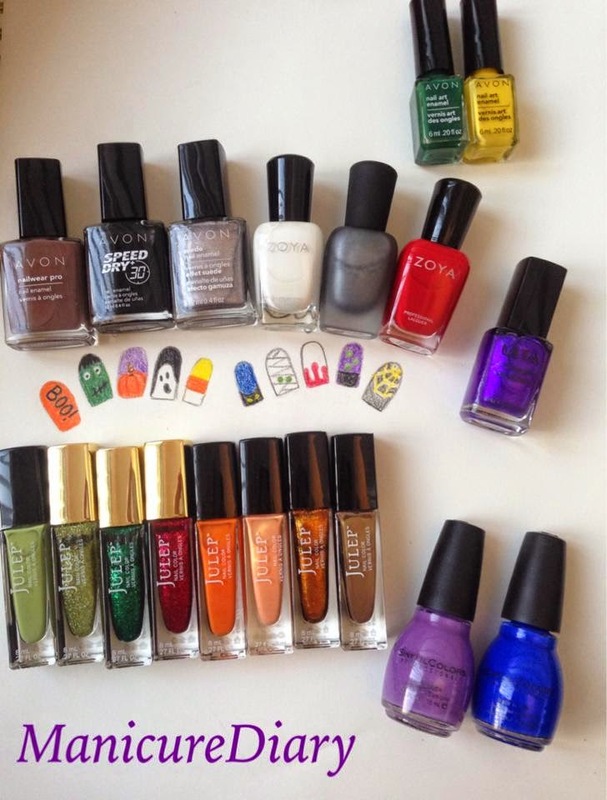 I swear, I will stand there for 20 minutes comparing swatches with five polishes in one hand and my phone in the other. Does anyone else do this or is it just me? Anyway, I finally settled on six beautiful colors. The names from left to right are Purity, Blu, Aubrey, Margo, Aurora, & Kalisa. Hey everyone! Can you believe we're already in October? The leaves here in New Jersey are starting to change and I'm ready for boot weather. 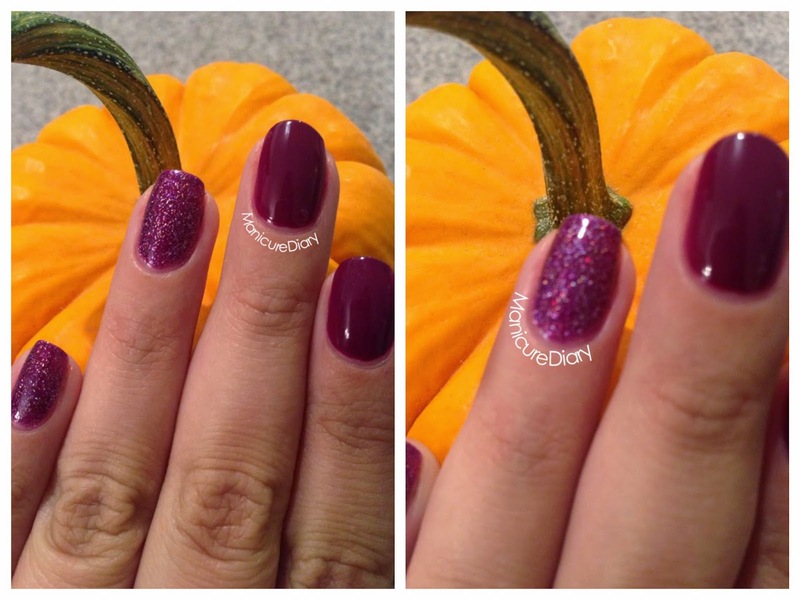 Oh and fall manicures of course! What is your favorite thing about fall? I decided to start a monthly favorites post to talk about some of my favorite things from food to makeup and of course a few of my favorite manicures. Let's get started! My first favorite is food related. I'm kind of a closet foodie, although I guess my friends and family would say it's not such a big secret. I love watching the Food Network and I'm always looking for new recipes to try. 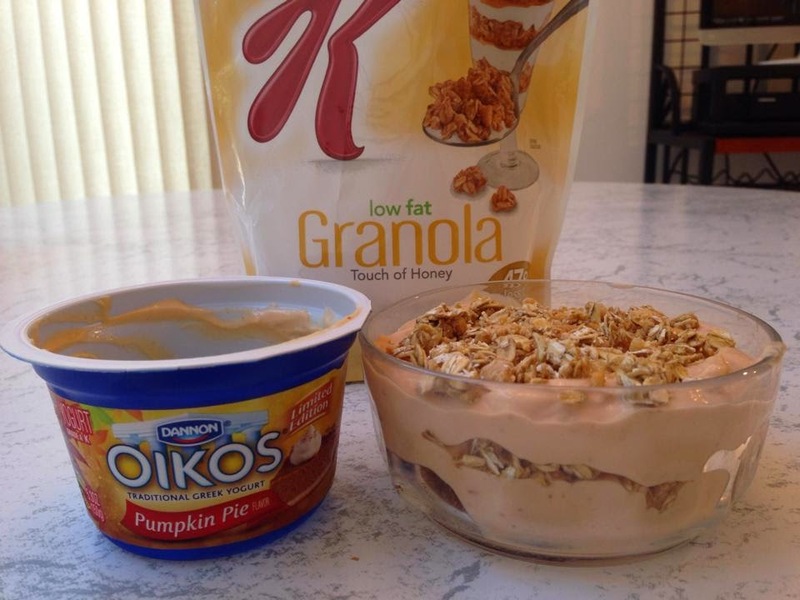 When fall comes I just love all things pumpkin flavored and the other day I picked up Oikos Pumpkin Pie greek yogurt from the grocery store. I seriously did not think I would like it but I just had to try it. Oh my goodness. Go to the store and get this yogurt before the season is over. It is THAT good. I made myself a parfait with Kellogg's granola and it was delicious. 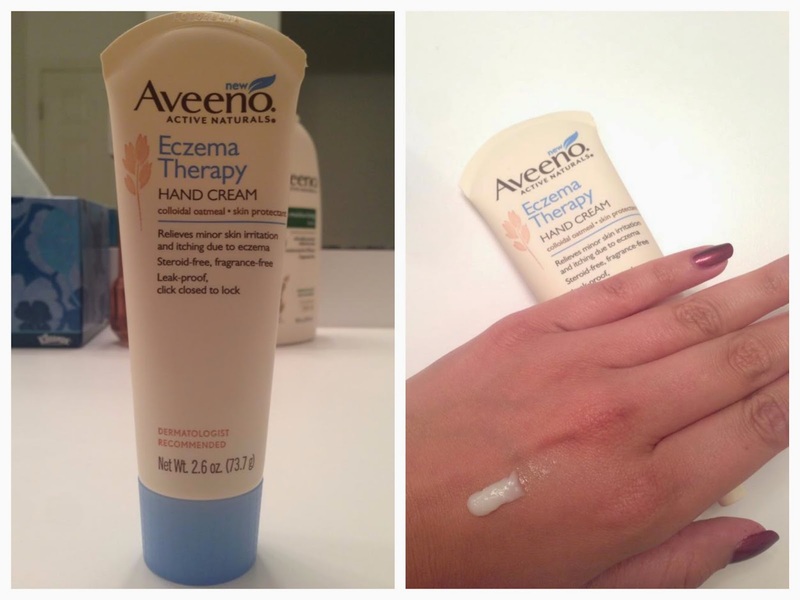 My next favorite is Aveeno Eczema Therapy Hand Cream. I mentioned this one a while back in my Aveeno haul post, linked here. I've given this product a lot of time to be tested and I am very happy to say that the eczema on my hands has cleared up significantly. 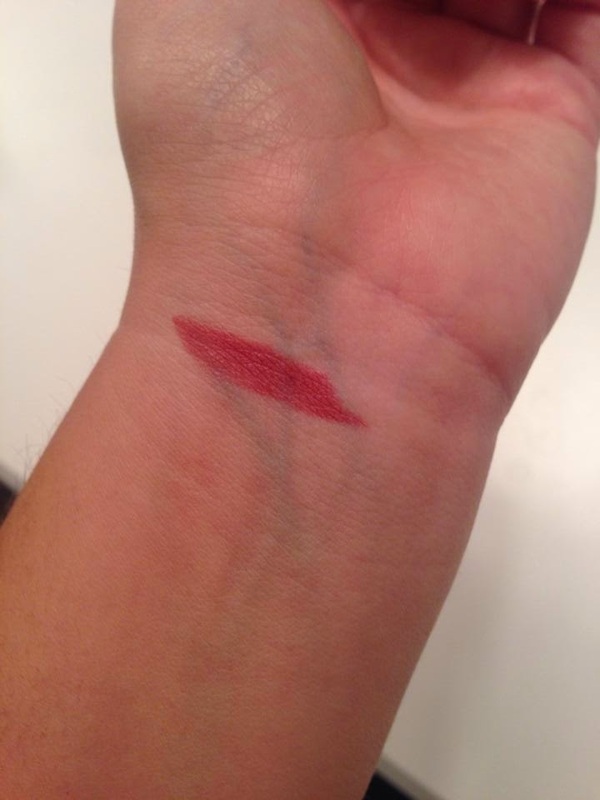 I used to have it on my palms and it is now completely gone there. I now only have some on my fingers, but not much. The swipe of lotion on my hand is about the amount I normally use. 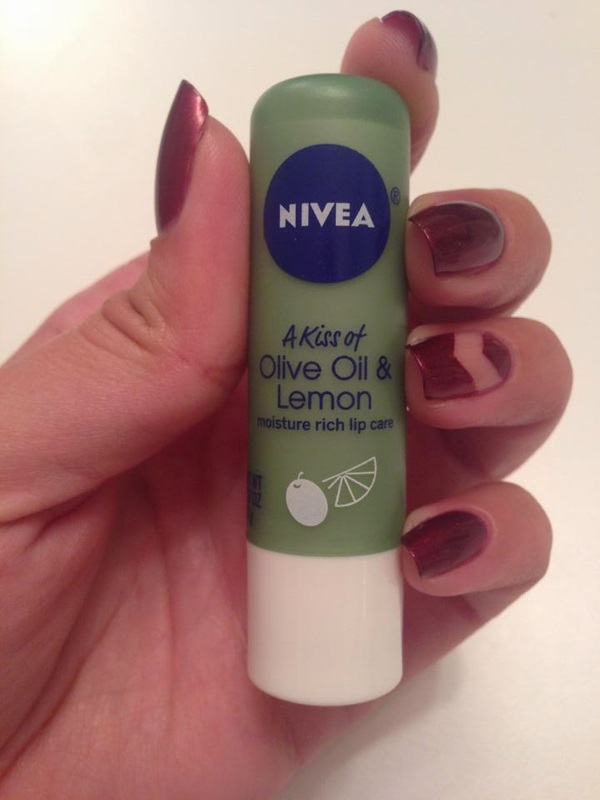 My favorite beauty product this month is Nivea lip balm in Olive Oil & Lemon. I like to use this before I go to sleep and it really keeps my lips moisturized throughout the night. The scent is very light and it has no flavor, which is good for me. 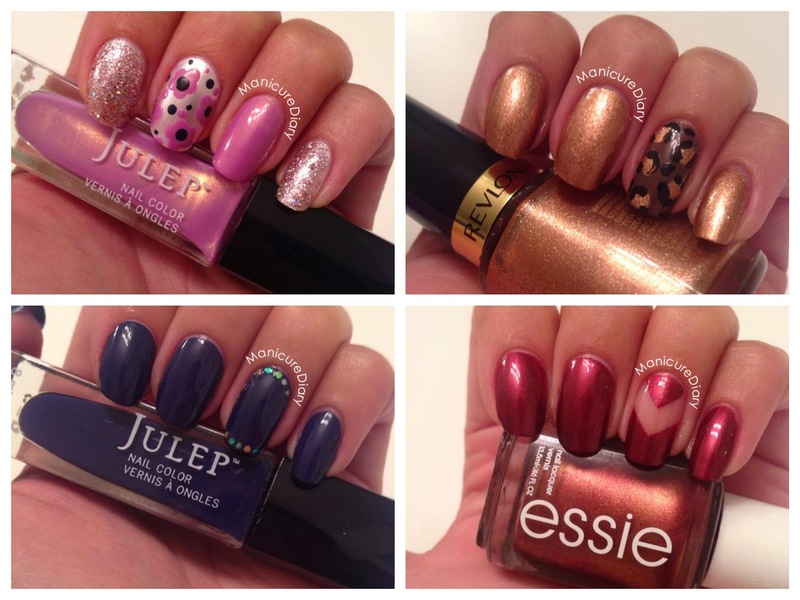 The last favorites I want to share with you are four of my favorite manicures that I created this month. 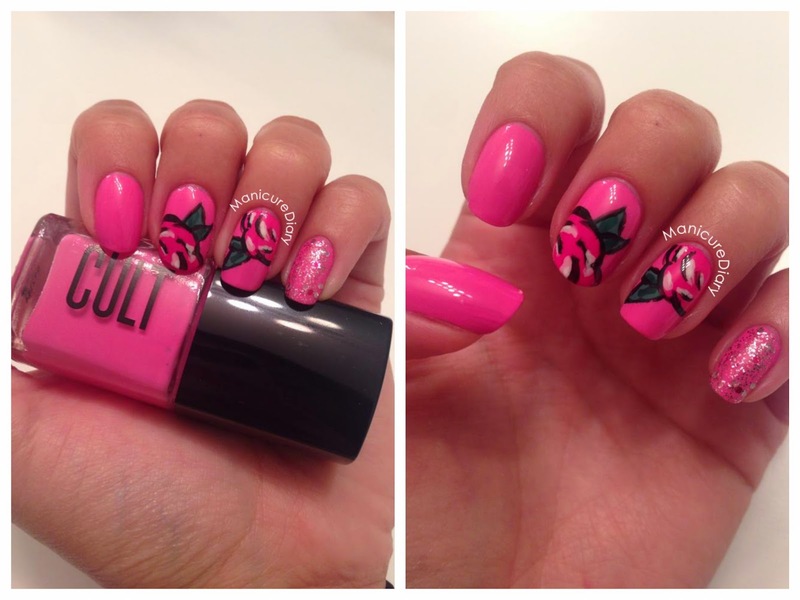 Out of all four I would say my favorite is the flower mani on the top left. Wishing you all a wonderful start to the month of October!